Gardening is becoming popular as a hobby as its an affordable and relaxing activity to have as a hobby. 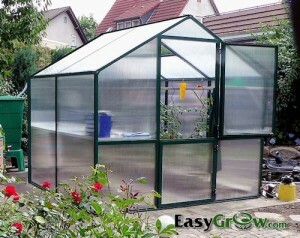 Greenhouse gardening is increasingly popular and a major reason for it is that its easy to maintain a greenhouse garden. There are multiple benefits of having a greenhouse garden. One of key benefits of a greenhouse garden is that you can have an extended growing season which is much more than the traditional outdoor growing season. Greenhouses provide a warmer climate for the plants so you may be able to even grow plants which may not survive in the cooler climates of outdoor gardening. With outdoor gardening you have no control on the climate and temperature, but with a greenhouse garden you can easily control conditions such as such as temperature and moisture. When planning to build or buy a greenhouse for your greenhouse garden you should consider the size of the greenhouse that you want to have. The size of greenhouse that you require will depend on a number of factors, but the most important factor to take into account is the type of plants that you plan to grow in your greenhouse garden. I would highly recommend to have a bigger greenhouse compared to a smaller one. If you can’t fill up all the space with plants in your greenhouse garden you can use the extra space to store your gardening tools and supplies which will help you make the most of your time you spend in your greenhouse garden. Many new gardeners prefer using a hose to water their plants inside their greenhouse, but a greenhouse should ideally have its own watering system. You night need to consistently sprinkle water on your plants to maintain the moisture and water that the plants requires inside a greenhouse garden. So you should consider getting an internal water system set up for efficient functioning of the greenhouse garden. Another important factor to consider when setting up a greenhouse is a heating and cooling system. This is really important as they help maintain the optimum temperature of the greenhouse to help in growth of the plants. You should also set up a thermometer inside the greenhouse to monitor the temperature. Remember that without a proper heating and cooling system in place the plants can end up dying in greenhouse garden. 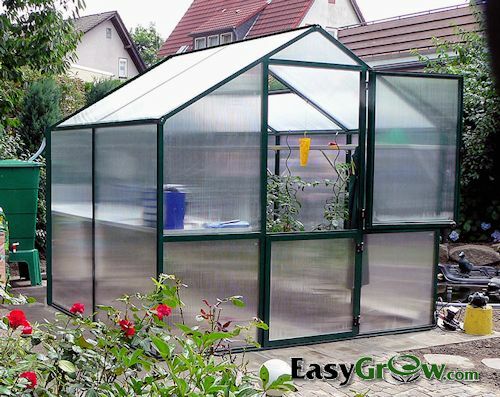 Greenhouses are available in various shapes and sizes and you should select one that best suits your requirements. It also depends on your personal preference and the plants that you wish to grow in your greenhouse. Greenhouse gardening can involve significant up front investment but you can reap great benefits in the long run. You will get to grow various varieties of plants which you might have never grown in a traditional outdoor garden and also gain a great and unique gardening experience with a greenhouse garden.